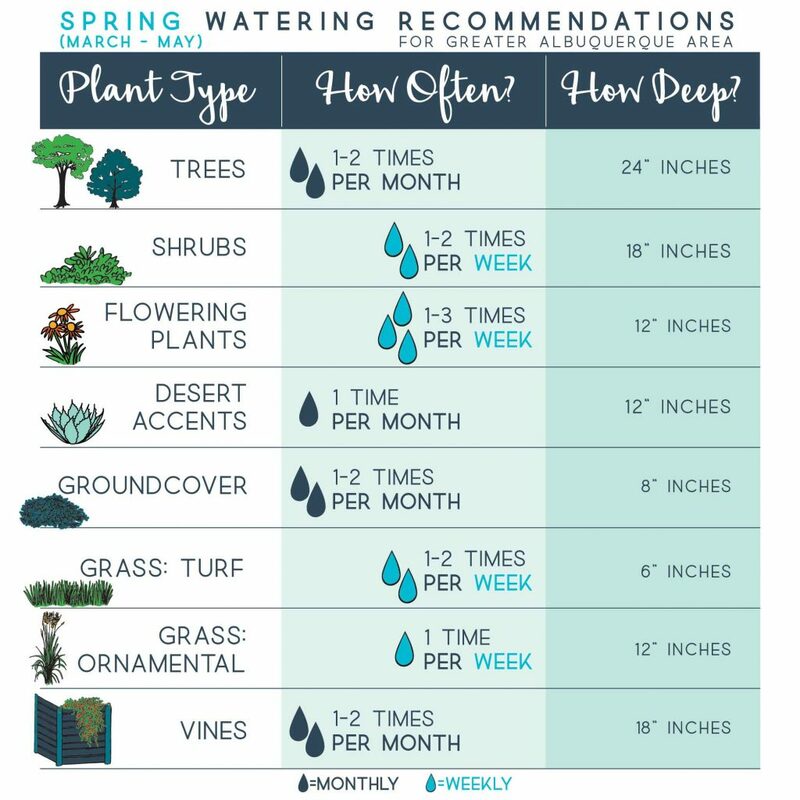 Albuquerque area had a great winter season with 150% above normal precipitation for the season but as the days get warmer it is time to follow the recommended watering guidelines for spring season. Remember If it has rained more than 1/2 inch you can skip your watering that week. Below are our Spring Watering Recommendations.